Seattle Hempfest runs Aug. 18-20. Summer is festival season here in the Northwest. There are music festivals, food festivals, beer festivals, and a gathering for pretty much any other interest you might have. So it's natural that there are a number of cannabis-related events in our region, too. Here's a quick cheat sheet for the green-friendly happenings this summer, so you can turn your travels around the state into a weed-cation. If you want to check out Vancouver, B.C. — which has a solid cannabis scene of its own — consider stopping off at this event in the border town of Blaine (facebook.com/JFestBlaine). There will be live music and local art displays. And, of course, cannabis. 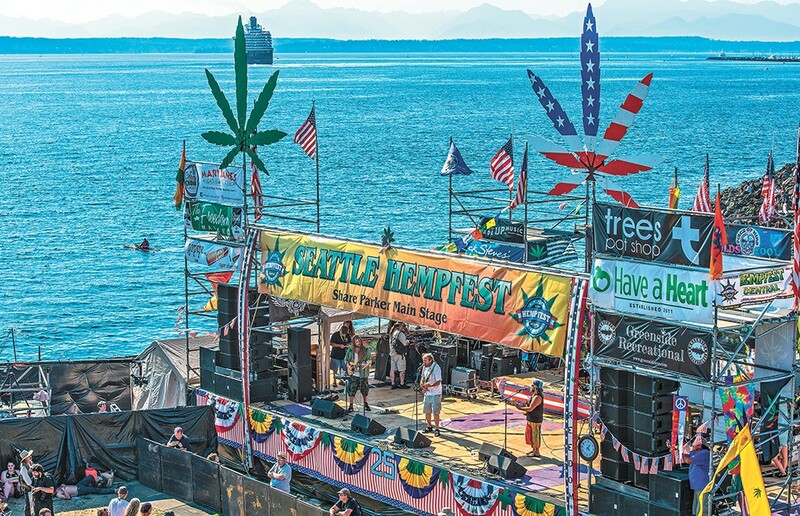 Back during the days of cannabis prohibition, Seattle's Hempfest was a display of collective civil disobedience on a massive scale, as nearly 100,000 people gathered to rally for legal weed and illicitly indulge. Even though cannabis is now legal, the event (hempfest.org) hasn't lost much steam. It's still a huge gathering, and the political and social stances have progressed to include taking cannabis off the list of items on the Controlled Substances Act list, reforming tax laws and legal reform. There are also tons of vendors and music, and a whole lot of laid-back folks. This festival is for the weed geeks out there who want to get deep into the science of cannabis, or perhaps put their strains to the test. At Terpestival (cannabisandsocialpolicy.org/terpestival-2017), cannabis producers, retailers and processors can have their products tested for terpene characteristics (the fragrant oils in cannabis) and ranked accordingly. May the best buds win.